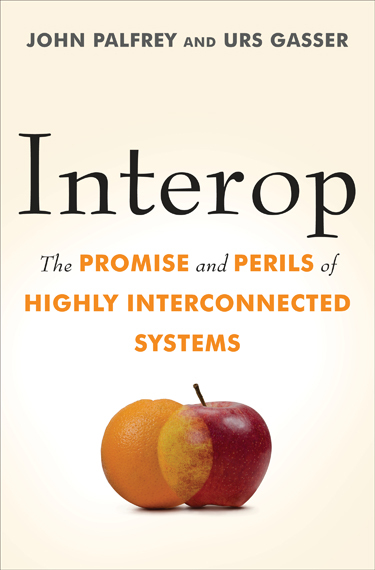 There are two local events coming up that I’m looking forward to; the first is tonight in the Harvard Law School building, where authors John Palfrey and Urs Gasser will be discussing their new book, Interop: The Promise and Perils of Highly Interconnected Systems. Palfrey and Gasser also co-authored Born Digital, and I’ve seen Palfrey speak before on the subject of the Digital Public Library of America (DPLA); he is intelligent and articulate. The second event, at the Brookline Booksmith on June 8, is an author talk of a different sort. Jenny Lawson, a.k.a. The Bloggess, will be appearing for her new book, Let’s Pretend This Never Happened: (A Mostly True Memoir). As a fan of both blog and book, I am really excited to see her in person. If you haven’t heard of her before, I recommend reading her posts about Copernicus and Beyonce as an introduction.